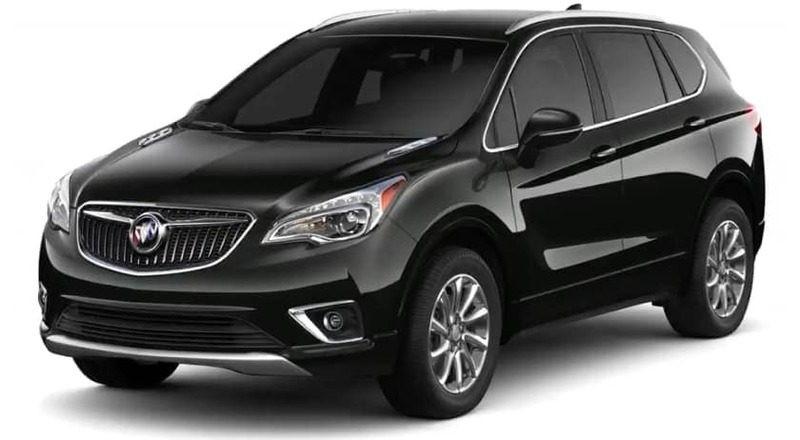 There are few vehicles on the market today that can prove to be as versatile and well-versed as the 2019 Buick Envision. The vehicle truly delivers when it comes to every possible attribute, making it a logical target for any type of buyer. The nameplate mostly makes a name for itself via its luxury and elegance, as the SUV proves to be one of the most opulent choices in the entire segment. However, engineers managed to separate this vehicle from the pack thanks to the array of technological offerings that are included in the interior, and these functions will play a significant role in the vehicle promising an unmatched driving experience. Despite the inclusion of top-notch technology and elegance, engineers even managed to optimize the SUV’s performance. The 2019 Buick Envision can be equipped with a pair of powerful engine offerings, and each of these options also prove to be relatively fuel efficient. Of course, the vehicle is also equipped with a number of safety functions, assuring that you’re in good hands at all times. The 2019 Buick Envision may be known for its luxury, but the SUV truly makes a name for itself via the incredible performance numbers. Regardless of which engine offering you end up opting for, we’re certain you’ll be thrilled with your decision. The 2.5-liter four-cylinder engine is the standard option, and customers will appreciate the excellent performance specs that are emanating from this system. Drivers can ultimately anticipate up to 197 horsepower and 192 pound-feet of torque, allowing owners to truly explore the open road. Meanwhile, thanks to inclusions like Stop/Start technology and a nine-speed automatic transmission, drivers can also expect a 29-mile-per-gallon high fuel efficiency. Sure, you’re going to have to dish out some money on your new SUV, but you can at least save some extra cash at the gas pump. The 2.0-liter turbo four-cylinder engine manages to take those performance specs to a whole new level. The system manages to crank out some of the most impressive numbers in the entire segment, including 252 horsepower and 295 pound-feet of torque. The SUV even manages to be relatively fuel efficient, promising drivers a 25-mile-per-gallon fuel economy on the highway. Of course, engineers included a number of additional mechanical amenities that will ultimately have a positive impact on the 2019 Buick Envision’s performance. In particular, the HiPer Strut front suspension helps to optimize steering and cornering, especially when the road conditions are less-than-stellar. Meanwhile, the intelligent All-Wheel Drive system manages to maximize both traction and torque, meaning you can maintain your grip with the road while also taking full advantage of the accompanying power specs. We’d understand if you were a bit apprehensive about your ability to control such a hulking SUV, but the 2019 Buick Envision’s mechanical inclusions assure that you’ll always maintain the best-possible control of your ride. Everyone is seemingly looking for that bit of entertainment when they’re traveling, whether it be a commute to work or a long road trip. Regardless of how you’ll be utilizing your new 2019 Buick Envision, you’ll appreciate all of the technological inclusions that engineers managed to cram into the vehicle. It naturally starts with the Buick Infotainment System, which provides quick and easy access via the intuitive eight-inch diagonal high-resolution color touchscreen. Whether you want to access your favorite radio station or the built-in navigation unit, you’ll barely have to take your eyes off the road to capitalize on your favorite program. Best of all, the system includes Apple CarPlay and Android Auto compatibility, meaning you can also utilize many of your phone’s basic functions (like text and calling) without compromising safety. If you are going to be using the smartphone compatibility, you’ll surely want to consider the available wireless charging dock. This technology will keep your smartphone fully juiced, and you won’t have to deal with those pesky wires to do so. Your passengers will appreciate the 4G LTE Wi-Fi Hotspot, which provides a reliable wireless internet connection to up to seven different devices. Meanwhile, the driver will appreciate the Head-Up Display, which showcases important vehicle information right on the windshield. Accompanied by the high-resolution Envision SUV’s Driver Information Center, drivers will always be alert of everything that’s happening with their new ride. These inclusions will help to boost convenience, and they’ll also allow you to better keep your focus on the road ahead. It’s 2019, so customers have surely gotten used to technological amenities being included in brand-new vehicles. However, we’d bet you weren’t expecting the 2019 Buick Envision to include this wide of a variety of technological offerings. The 2019 Buick Envision makes for an excellent family ride, and a big reason for this sentiment can be attributed to the SUV’s array of safety functions. These various features will play a significant role in keeping passengers safe during a collision, and they’ll even help to prevent those accidents from occurring altogether. There are a variety of features that will prove to be invaluable when you’re traveling on the highway. The Lane Keep Assist (with Lane Departure Warning) will assure that you’re remaining on your intended path at all times, while the Lane Change Alert (with Side Blind Zone Alert) will alert you if it’s unsafe to switch over. Meanwhile, the Forward Collision Alert will notify the driver when a collision is imminent, as drivers will have time to react thanks to the audible and visual cues. The Forward Automatic Braking will take over from there, as the SUV will automatically apply the brakes if a collision appears to be imminent. The vehicle can even be accompanied with the Adaptive Cruise Control system, which allows drivers to take a brief break without completely compromising safety. The unit will adapt the SUV’s speed to flow with the traffic around it, and this will prevent any inadvertent collisions. There are even inclusions that will prove to be useful in the parking lot, reducing the chance of an accidental fender bender. The Surround Vision system (or the Rear Vision Camera) allows drivers to monitor everything that’s happening around their SUV at all times, while the Rear Cross Traffic Alert will notify the driver when another vehicle is about to cross behind your SUV. In the event of a collision, the vehicle’s Intelligent Airbag System will assure everyone’s safety. The 10 accompanying airbags will provide everyone with the proper amount of cushion, and it will only deploy with the necessary amount of inflation. Meanwhile, the sturdy and rigid vehicle skeleton shouldn’t compromise during a crash. The vehicle even includes the innovative Teen Driver technology, which will assure your younger drivers’ safety at all times (it also allows parents to monitor their journey once they’ve returned home). In other words, the 2019 Buick Envision can truly appeal to any type of driver, and you won’t have to worry if you’re teenage driver will soon be taking the wheel. Sure, when you’re shopping around for a new SUV, we’re sure you’re focused on the performance and technological aspects of the vehicle. However, the safety functions are just as (if not more) important. Fortunately, the 2019 Buick Envision more than delivers in this regard. 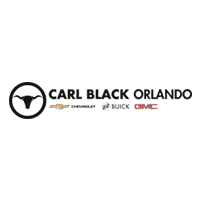 If you’re hunting around for a 2019 Buick Envision in Orlando, there’s no better place to make that purchase than Carl Black Orlando. You’re about to dish out a whole lot of money on your brand-new luxury SUV, so you deserve an optimal buying experience. Fortunately, you can expect that when you visit Carl Black Orlando. The lot is well-stocked with a number of new Chevys, Buicks, and GMCs. While you’ve probably already focused in on the Buick Envision, you’ll at least have plenty of alternatives to choose from. Plus, we also have a number of used options, thus providing logical options for those on a budget. Our service department is in place in the event that you run into any issues with your new SUV, while the finance department will work with you to determine a fair and logical payment plan. To top it all off, the flexible hours means you’ll never have to rip up your schedule in order to visit. All of these amenities play a significant role in the dealership providing drivers with an unmatched buying experience. So what are you waiting for? If you’ve been hunting around for a 2019 Buick Envision, head down to Carl Black Orlando today. Before long, you could be driving off the lot in your brand-new SUV.